We stumbled upon chutney lust quite by accident. One summer we had a gangly vine in the backyard that produced nothing but tiny green tomatoes. Lots of them. So I checked into what I could do with them and picked a recipe as much for its liberal use of a certain bracing spice as for its green tomatoes. I had a largish stash of crystallized ginger in the cupboard that I needed to use up. The chutney flavor was an irresistible blend of sweet and tangy with just a little pow of hot. We were hooked. 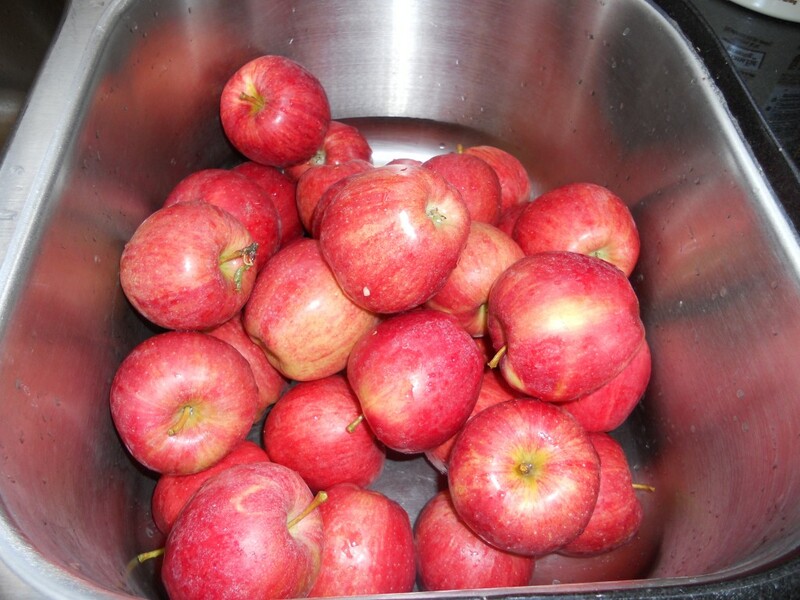 And when a neighbor handed me a grocery bag full of apples from his trees, I was ready to experiment some more. I found another recipe, cooked up all the apples in a blink and still had ingredients. Somewhat sheepishly I took the empty grocery bag back next door and said, “Please, sir, may I have another?” I thought I could rummage around on the neighbor’s lawn for fallen apples and reach some low-hanging branches, but the guilt really set in when he immediately fetched a tall ladder and climbed way up into a tree to pick some more. I had to foist a lot of jars of chutney on him to make up for it.